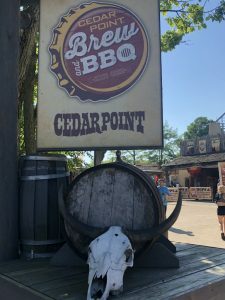 Four mouthwatering BBQ stations where you can sample unique creations prepared exclusively by Cedar Point’s executive chefs! 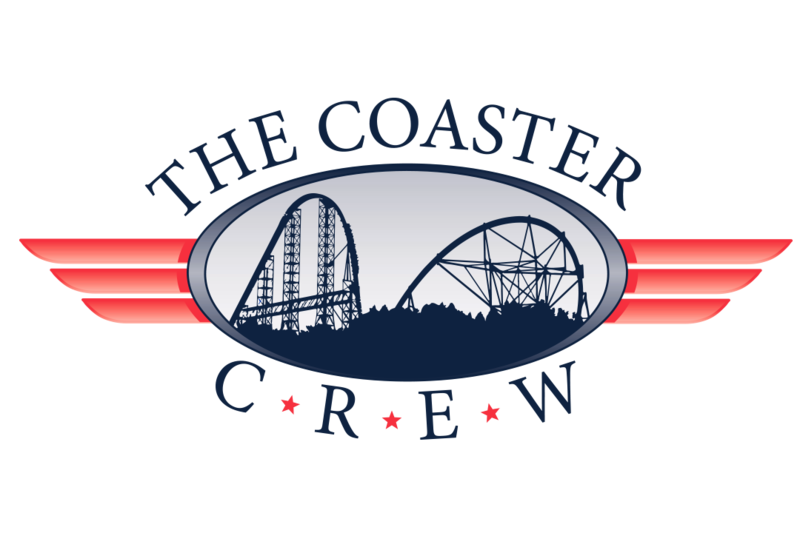 When you think of Cedar Point, you probably go right to the amazing coasters and rides they have. I mean, they are America’s Rockin’ Roller Coast after all. You may think of all the great updates to the resorts or the general park improvements going on as well. However, one of things you may not think of are the great food events that they put on throughout the year. 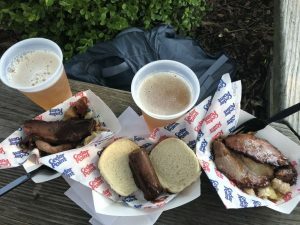 If you were there this year between June 8 – July 1 you got the opportunity to enjoy an array of amazing succulent BBQ options from four different regions across the US, and pair it with an ice cold delicious beer. 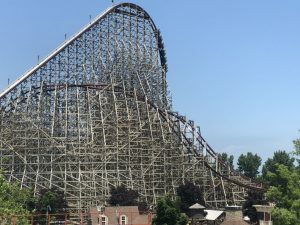 When you walk into Frontiertown, located at the very back of the peninsula, you will most likely notice Steel Vengeance towering above the area. You will also notice a delicious smell flowing throughout the air. 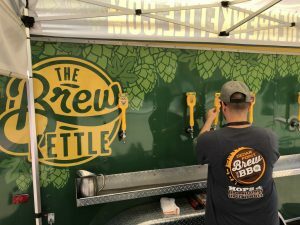 As you enter the area from the Gemini Midway you will find booths where you can purchase your tickets to enjoy the Brew and BBQ: Hops & Hootenanny event. This is actually quite an affordable option for food and drink for the day, especially if you are a season pass holder without a dining plan option. 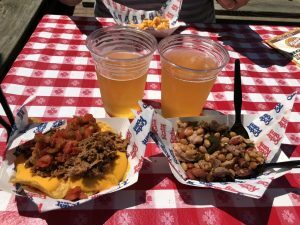 For $22, for season pass holders, you could get 15 tickets to use for a variety of food and beer at the booths and tents in the area. Each option of food would cost you one food ticket and a 4oz beer sample would cost the same. You could also get a full 12oz beer for 3 tickets. The four different regions featured for the event are; Kansas City, Carolina, Texas, and Memphis. 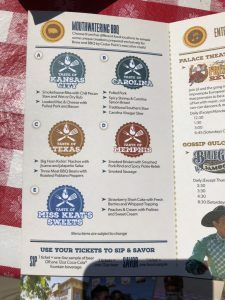 They also had the dessert tent named Miss Keat’s Sweets, where you could enjoy something sweet from Miss Keat’s Smokehouse, located right there in Frontiertown. I made sure I got to try each item of food they offered from each booth. Every single item had something about it that set it apart from the others and each item we had was delicious. 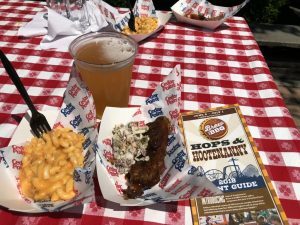 My favorite was easily the Taste of Kansas, where you got the try some ribs, either wet or dry rubbed, and some excellent mac and cheese. This was the first that I tried but it maintained it’s #1 spot throughout the day. I like KC style BBQ as is and they did an amazing job with it. The ribs were absolutely fall-off-the-bone and both the wet and dry rub had some kick to them. I preferred the dry rub over the wet. The coleslaw, which I don’t typically like, was incredible as it was the perfect blend of texture, spices, and flavor. The mac and cheese was very surprising and it surpassed my original expectations for it. It was creamy and full of flavor and even had a bit of smoky taste to it as well. I then moved on to the Taste of Texas where you had the option to try some nachos with jalapeño salsa and some three meat BBQ beans. The Big Horn Kickin’ Nachos with Jicama and Jalapeño Salsa were absolutely awesome. They topped the nachos with some pulled pork and spicy salsa. This was my second favorite dish behind the ribs from KC. They really piled on the pulled pork so you had some for each of your chips. 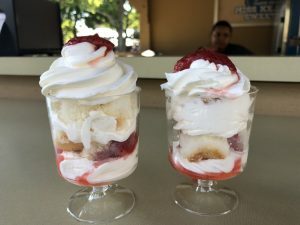 This was the perfect snack for a mid day break to rest and recharge between rides on Maverick and Steel Vengeance. We also had the three meat beans and we had a few bites of them, and while pretty good as far as baked beans go, we ended up putting a few scoops on our nachos and they were the perfect addition to the nachos. After our first two rounds of food we decided to head back into the park and get some more rides before returning for dinner, where we took a trip to Memphis. Here I tried some smoked brisket and smoked sausage. Originally the brisket was one of the items I was really looking forward too but the brisket was too fatty for me. I love brisket but I like it a lot leaner than what they had. It had plenty of flavor but was just too fatty for me to fully enjoy. The smoked sausage, on the other hand, was absolutely delicious. I added a bit of BBQ sauce to it and it was very tasty. I wish they had used a different type of bun to really add some flavor to it. Something a little sweet would have been the perfect compliment to the salty sausage. 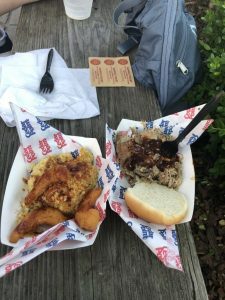 We then tried the last booth and took a trip to the Carolinas, where we tried some pulled pork and a spicy shrimp spoon bread. The pulled pork was finely shredded and even had some burnt ends mixed in there. It was smoked perfectly and was very tender. I wish the bun they used here was a different kind as well. With my BBQ, I really enjoy a bun that’s a bit sweet to help compliment the saltiness of the BBQ. The spoon bread was decent. It was a bit dry overall and if it was a bit more moist it would have been one of the better dishes you could have sampled. They put some spices over the top of it with some shrimp. The shrimp was really good, I would have liked a few more. By themselves they were up near the top of the items I tried for day. What goes better with BBQ than a perfectly paired ice cold beer? Well, I’d tell you not much. It’s the perfect partner to help quench your thirst and cleanse the pallet as you enjoy some incredible BBQ. They had all the beers that you can find in any bar across the country, such as Corona, Shock Top, Sam Adams, and more. But why in the world would you choose something you can get at any ol’ bar? Every beer I tried was one I’d never seen or tasted before. Each tent in Frontiertown offered between 13-23 different styles and types of beers. No tent had a repeat and each tent had something for everyone, including styles like; IPA, Hard Seltzer, Pilsners, Ciders, Stouts, and Wheats. I sampled many different types of beers and I ultimately liked one above all the rest that were tried. Some amazing highlights were the CP Shores and Summer Rays from The Brew Kettle, Pineapple Mana Wheat from Maui Brewing Co, and Platform New Cleveland Pilsner from Platform Beer Company. However, the one that stood out above the rest was the Prosperity Wheat, a German Hefeweizen-style beer, from Market Garden Brewery. If you are a wheat beer fan like I am, this would be a must-try for you. It had everything you are looking for in a wheat. Heavy aroma of cloves, banana, and citrus with a smooth finish and sweet aftertaste. SV sits as the back drop of CP’s Brew and BBQ Event. 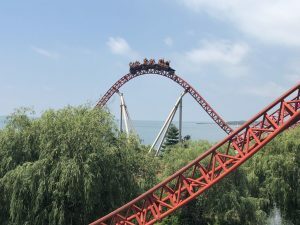 While you spend your day back in Frontiertown eating plenty of food and enjoying what I hope are many rides on Steel Vengeance or Maverick, you will find lots of shows as well to go along with the event. Two shows take place all day at the Palace Theatre, an indoor air conditioned theater where you can sit back and relax as you take in Lusty Liz’s French Revue and The Tom Fooleries. Join Lusty Liz and her gang in this impromptu European Tour that will provide music, comedy, fun, and some can-can dancers. If that’s not your thing then join The Tom Fooleries for some light hearted comedy and music. They can also be found roaming Frontiertown daily during the event. If you prefer to stay outside, head over to Gossip Gulch for the Bluegrass Jamboree that will bring the ‘Town alive during their performance. This was truly an amazing event that provided fantastic food, incredible beers, and entertainment to fully enjoy your day at CP. 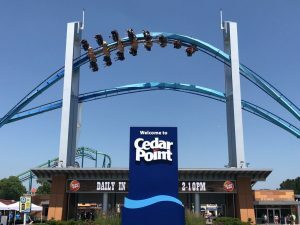 Weather you spend lots of time there eating food & drinking beer or just hanging out and taking a break from all the rides, Cedar Point really knocked this event out of the park. There was something there for everyone to enjoy. I hope you got the chance to make it up there during the event; if not, I suggest looking at their event schedule for 2019 and plan your trip then. This will make your day that much better.